A large-scale police operation into money laundering appears to have targeted the Airiston Helmi real estate firm, led by a Russian man with Maltese citizenship. An exceptionally large police operation took place in southwest Finland this weekend, in what the National Bureau of Investigation (NBI) said was an extensive search of several business premises suspected of being involved in financial crimes. A third suspect was taken into custody on Sunday in the case, following major property searches on Saturday that resulted in two suspects being detained. NBI inspector Markku Ranta-aho would not reveal the name of the firm or any of the suspects, but told the public broadcaster Yle on Sunday that the bureau suspected that the case was linked to a massive international money laundering scheme. 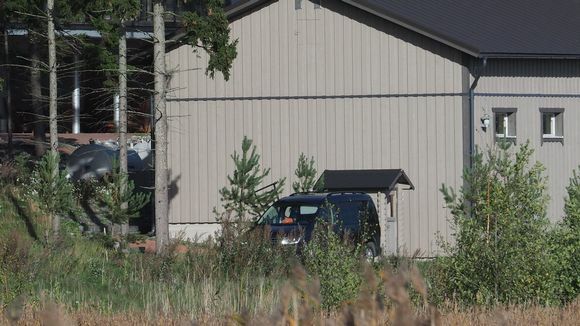 Eyewitnesses near Turku say the searches appeared to have targeted the Airiston Helmi real estate firm, a company that has facilitated the sale of millions of euros of property in the Turku archipelago. Several other media outlets have reported a heavy police presence at Airiston Helmi properties in the southwest archipelago location of Säckilot in Pargas. Yle's investigative MOT team reports that Airiston Helmi has connections to business networks in at least Poland, Estonia and Italy. The real estate deals of Airiston Helmi in strategically important areas have been examined in the past by the tabloid Iltalehti and Yle's Swedish-language investigative journalism unit Spotlight. Spotlight says that a drone it had once used to take aerial shots of the Pargas business premises during its reporting was suddenly downed. The crew managed to get the drone back, but the camera that was attached to it was gone. According to the National Land Survey of Finland, Airiston Helmi either bought or sold 9.2 million euros of real estate in the Turku archipelago between 2007 and 2014. The properties were located on the majority Swedish-speaking islands of Nagu, Korpo, Pargas, and Houtskär (known as Nauvo, Korppoo, Parainen and Houtskari in Finnish). Most of the transactions involved Airiston Helmi purchasing lots in the area. In 2014, records show that the firm sold a property in Pargas to a private buyer for 4.5 million euros, but the real estate register does not indicate the name of the buyer. The register only keeps a record of real estate transactions in Finland, so any other property Airiston Helmi may have acquired through business purchases, for example, would not be recorded there. In 2017, the firm reported a 300,000-euro loss, the last of several consecutive years of supposedly loss-making operations. Airiston Helmi was founded in the autumn of 2007. A Russian man born in 1964 was named chairman of the board, and he has continued on the board since the company's inception. Documents submitted to the Finnish Patent and Registration Office show that he is also a citizen of Malta. Citizenship in the Mediterranean EU country is frequently used as a shield for tax planning and tax avoidance. Yle's MOT unit says that it has been unable to find any evidence of the man being involved with any businesses in Malta. But who owns Airiston Helmi? In the autumn of 2016, the company reported that its owner was from Poland. Data from the Polish registration office shows that the only shareholder in the Polish company in question was the same Russian Airiston Helmi board member. The firm last issued shareholder information in November 2016, when it announced that the company had a new owner in Italy. MOT was unable to find more information on this Italian connection, but a man born in Italy in 1955 currently sits on the Airiston Helmi board. Documents show that the company's Annual General Meeting took place in Brescia, Italy. Previous AGMs have been held in St. Petersburg, Russia.